In their announcement revealing the studio, Dr. Voll says that they want to “change the culture of game development” (she is also co-founder of the Fair Play Alliance), and when I ask if that’s referring more to player experiences, or internal issues like crunch, company culture and unionisation, she explains that they’re all related. They want to make co-operative games at a co-operative studio. Faliszek emphasises again that games are made through culture and process, so the culture that produces the game is very important. For the company, this means that Stray Bombay will have a flat structure, where everyone is a designer (from artists to programmers). The whole team will work on one game at a time, and there will be some structure within that, with “the lightest touch”. But, as Faliszek pointed out, it’s quite possible that you’re not arsed about any of that. As a player you’ll just experience the end product. Unfortunately, I can’t really tell you what that might be like. Your guess is as good as mine. Their business cards have cats on. Maybe all their games will be about cats. I mean, I pointed out that cats are stereotypically known for being social and co-operative, but was assured this is not the case with Boris. 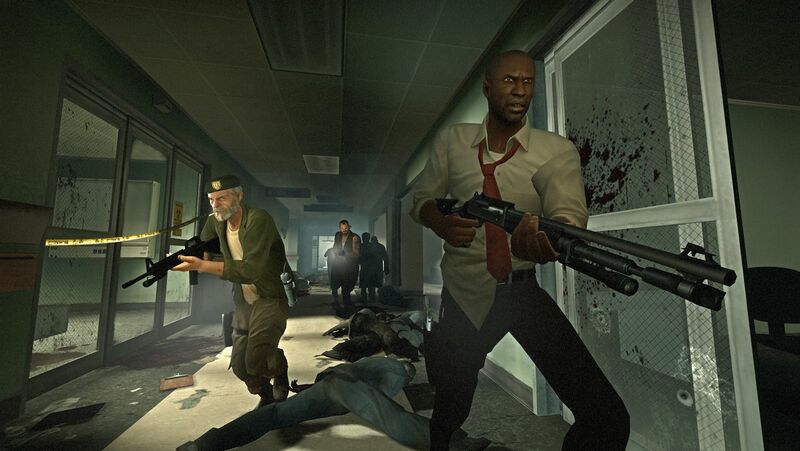 “We pull on what we’ve worked on before and what we’ve learned from those games,” says Faliszek, which for him means a suite of Valve favourites: Left 4 Dead, Half-Life 2, Portal. Faliszek was working with Bossa Studios on a co-op game using narrative AI, but he left them with what he describes as “the most polite goodbyes” last year. 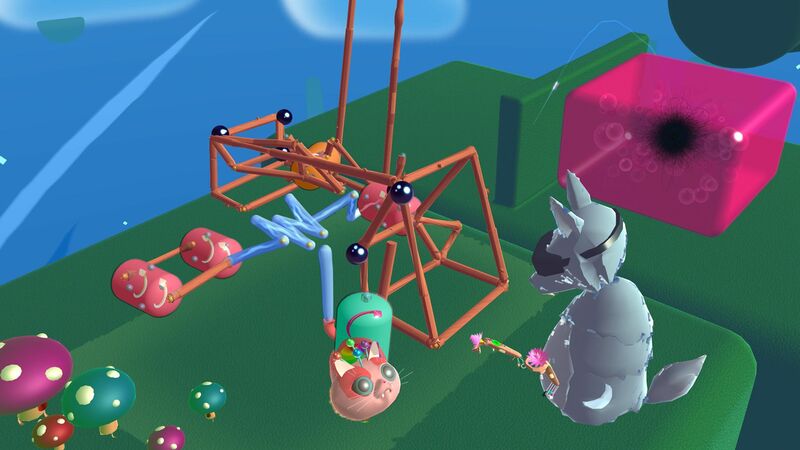 Dr. Voll, meanwhile, has been at Riot Games for the last three years (Riot will be investing in Stray Bombay), and before that worked at Radial Games on titles like VR game Fantastic Contraption, though Stray Bombay will be working in “flat games”. Make what you will of all those influences. One thing they are very clear on is that these will be collaborative co-op games, not competitive. 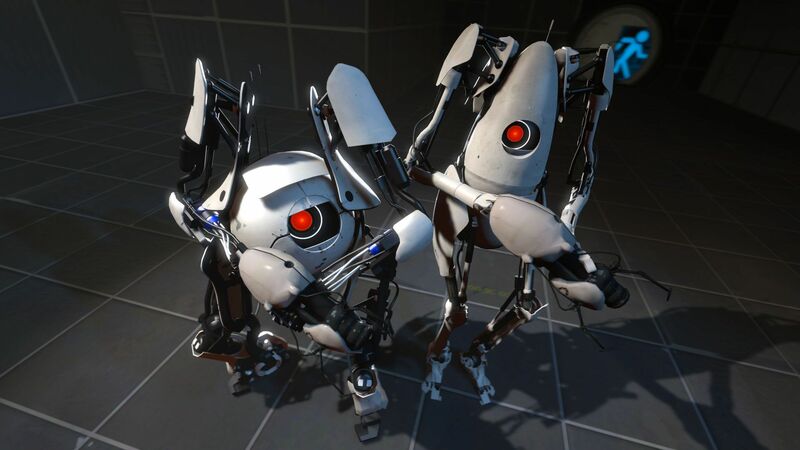 One of the rules on the Portal 2 co-op was that you would always need two players to solve all the puzzles. They couldn’t be done with just one input. Faliszek keeps saying that players are smart, and they’ll figure it out as long as the game shows them that working together is the best thing. Because of this, they’re thinking a lot about how to do matchmaking. Blizzard is starting to use this kind of approach with Overwatch matchmaking, but Dr. Voll says there’s so much potential information to consider — and good matchmaking will be a challenge to actually do. So, while Stray Bombay will be going dark for a little while, they do want to get the game they’re making into players’ hands as soon as possible. So, at some unspecified point in the future, but semi-near future, you might get to play a co-op game at an event, and it’ll possibly have some kind of weird matchmaking thing. And it may or may not be about cats. I’m going all in on cats, though. Cats are cool.